In the February 11, 2011 post (“Stock Market Comment“) I mentioned, among other comments, that I believed the stock market, as a whole, is currently a bubble. I would like to elaborate upon my reasoning for such, especially since it is a view (admittedly) held by very few. What makes this stock market bubble particularly insidious is that by many outward appearances it doesn’t appear to be a bubble. The most deadly bubbles are ones that don’t obviously appear as such. I believe that the subject of bubbles, and determination of such, is a very complex, yet critically important subject. As such, I have written extensively about them in the context of our present economic situation and their impact on future economic prosperity. Perhaps adding to this complexity is that there really isn’t a concrete definition of what constitutes an asset bubble (or “speculative bubble”). I view the process of identification of bubbles into two components; fundamental analysis and technical analysis. The fundamental case that the stock market is a bubble ranges from relatively simple to vastly complex; as such, I will (at least for now) primarily focus on some of the technical analysis (and other price movement) issues that are of a more straightforward nature. This entry was posted in Bubbles (Asset), Investor and tagged asset bubbles, S&P500, Stock Market on February 28, 2011 by Ted Kavadas. I found various notable items in Walmart’s Q4 conference call transcript (pdf) dated February 22, 2011. I view Walmart’s results as particularly noteworthy given their retail prominence and focus on low prices. I have previously commented upon their quarterly results. This entry was posted in Uncategorized and tagged paycheck to paycheck on February 24, 2011 by Ted Kavadas. In past posts I have written of the challenges businesses face in pricing, given today’s economic environment. One aspect that I mentioned in the December 16 post was how PPI (Producer Price Index) growth was significantly outpacing that of CPI. Since that December 16 post, the PPI-CPI growth rate issue has been exacerbated. Doug Short, on his blog, over the recent past has posted a few interesting charts illustrating this concept from a long-term historical viewpoint. I believe that what this chart depicts is notable in a variety of ways. As shown, we are experiencing a unique situation on a variety of fronts, and are already at historical peaks in both the index levels and 12-month MA as shown. I believe this data and its implications for businesses and the economy at large is of great concern, and as such monitoring such deserves rapt attention. This is especially so given the vulnerability of the U.S. Dollar to a substantial decline, a topic that I have written extensively about. This entry was posted in Business and tagged cpi, pricing on February 23, 2011 by Ted Kavadas. The February 7 – February 13 2011 Bloomberg BusinessWeek had an interview of Bill Gates by Charlie Rose (“Charlie Rose talks to Bill Gates“). There are two excerpts, seen below, that I found especially interesting, although I don’t necessarily agree with what Gates says. What do you conclude about U.S. spending on health care vs. the rest of the world? We spend 17.8 percent of our GDP on health care. And the next highest is at 12 percent. You have some, like Britain, who are down at 9 percent. That is just mind-blowing. And our outcomes aren’t better. The incentive system exists to have all sorts of ways of spending money on 70-year-olds and 80-year-olds—spend $100,000 on this, spend a half-million dollars on that. You’re taking resources away from the young. Anything you can invent, we have no metric that would hold us back. So, innovation is inventing ways of taking resources away from the young, whether that’s education or anything else. Technology has been good to the U.S. Are we losing our momentum? We’d have to keep making a lot of mistakes for several decades before we’d lose that edge. It’s great that other countries are more innovative. When my child gets sick, I won’t look at the pill and say, “Oh, my gosh, it’s made in China.” If they invent something that can save my child’s life, I’ll say, “Hallelujah.” But the U.S. lead is very strong. Our universities, our funding of research, it’s pretty amazing. Smart people still want to come to this country. Do we make it as easy for them as we ought to? I don’t think so. But we have time to renew our excellence in how we educate, the excellence of our immigration system, in how we invest in young people. This entry was posted in Uncategorized and tagged healthcare on February 22, 2011 by Ted Kavadas. Why Did Economists Not Foresee The Financial Crisis? One of the critical issues that has arisen from the Financial Crisis and its aftermath was why didn’t economists foresee the Crisis? While I believe there are many reasons for this, some complex, it is interesting to read of reasons issued by one of today’s foremost economists, Raghuram Rajan, in his February 5 2011 blog post. 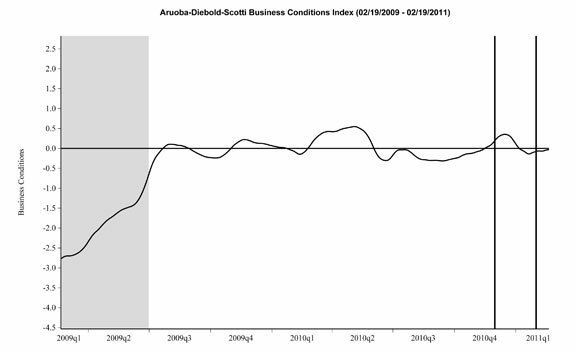 This entry was posted in Economic Forecasts and tagged economic forecasting, Economic Forecasts on February 21, 2011 by Ted Kavadas. 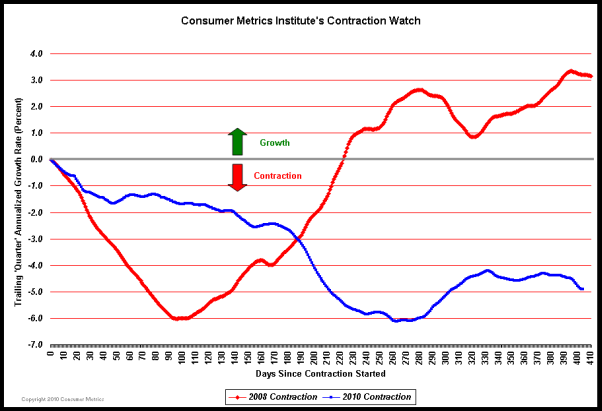 This entry was posted in Economic Forecasts and tagged Economic Forecasts on February 17, 2011 by Ted Kavadas. “Since late last summer, the economy appears to have strengthened considerably. The economists put the risk of a return to recession at 12%, down from 22% in September. I also found a variety of topics seen in the Q&A (spreadsheet tab) to be interesting, including questions on the possibilities of state defaults and state bankruptcies. 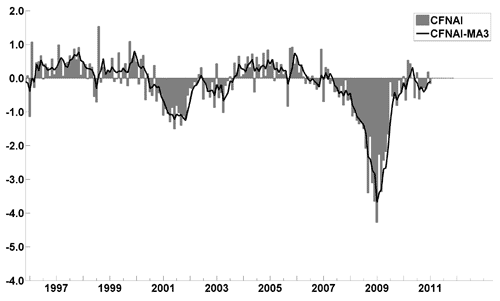 This entry was posted in Economic Forecasts and tagged Economic Forecasts on February 15, 2011 by Ted Kavadas. The above “Free to Choose” television series is notable in many regards. First, it is different than the book of the same title, although both contain similar themes. As such, one can’t, and shouldn’t, be substituted for another. The television series is particularly valuable as it shows the emphasis of Milton Friedman’s wording in ways the book can’t. Second, the television series is valuable as each episode has Milton’s presentation for the first half of the hour, followed by a half-hour moderated debate on the topic among Milton and a distinguished group of others. Many of those in the debates hold opinions in direct contrast to those espoused by Friedman. As such, one gets a wide-ranging discussion of the issues from multiple viewpoints. While I disagree with various of Milton Friedman’s beliefs and conclusions he has either stated in “Free to Choose” or elsewhere, in aggregate I view his work as very valuable. I do believe that his suggestions are (at the very least) worthy of serious contemplation. Some may dismiss Milton Friedman’s work as (at least partially) irrelevant as he was most active decades ago. However, if one analyzes the topics of his work, one will notice that his focus was one of tremendous relevance to today’s economic situation. I would say that his work has never had greater relevance. I plan on referencing certain of his comments and work in future commentary. I have previously done so in a May 16 2010 blog post. This entry was posted in Uncategorized and tagged Milton Friedman on February 14, 2011 by Ted Kavadas.